Pediatrician Kate Land, MD, shares how physicians and clinicians can effectively persuade patients to get the flu vaccine. Bob Climko, MD, writes about the importance of really listening to patients. Is there a medical impact in addressing non-medical needs? Wendolyn Gozansky, MD, shares how Kaiser Permanente’s Primary Care Plus program can help patients with complex needs. Edward Ellison, MD, writes about the health benefits found in the simple task of expressing gratitude every day. 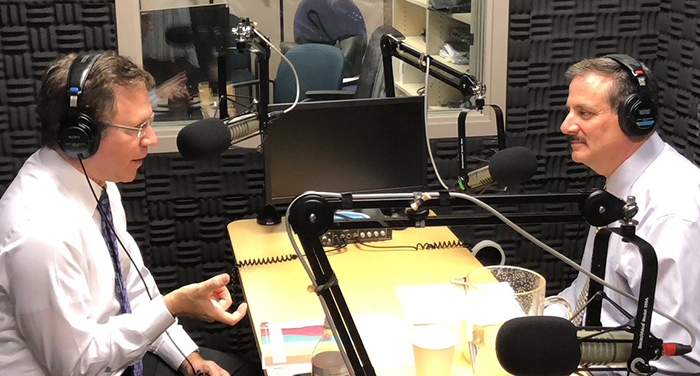 Richard S. Isaacs, MD, FACS, sits down with Permanente Federation COO Chris Grant to talk transformative leadership and Permanente Medicine’s role in an evolving health care industry.